Now, this is one of those well-made projects with every detail carefully planned. Overall, the Austin Yellow BMW F82 M4 is a great starting point for any build. 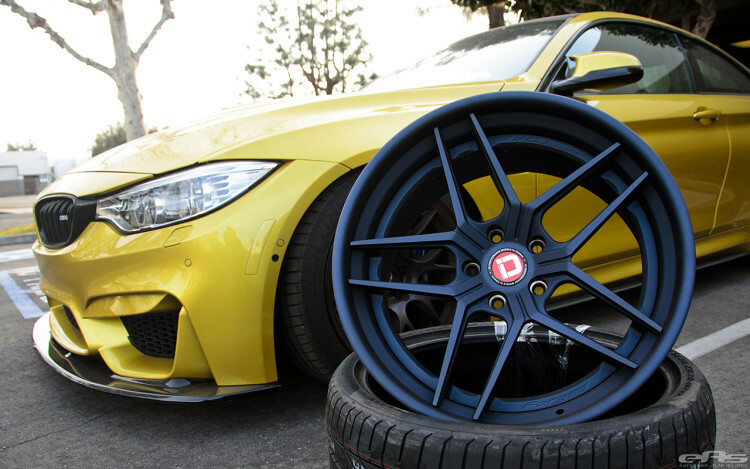 Its aggressive design lines and interesting body panels are the perfect starting point for a detailed customization job. This project was completed by the folks at European Auto Source who first installed a set of new wheels. These wheel feature an unusual and rather stunning finish, combined with a contemporary and intricate design features. 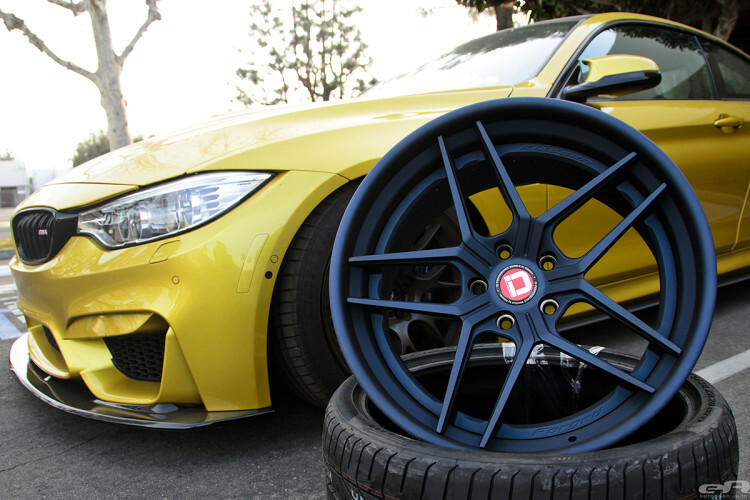 Made by Klassen, the CS05T wheels come in a Midnight Frost finish and they are simply gorgeous. 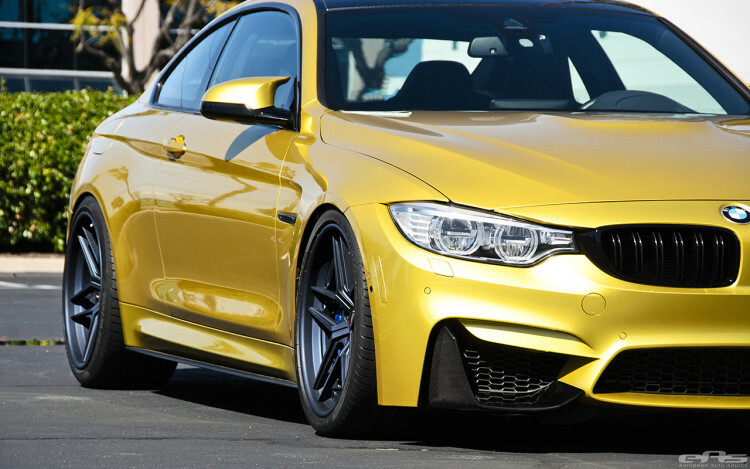 The BMW M4 is powered by a 3.0 liter straight six TwinPower turbo engine delivering 425 horsepower and propelling the vehicle from 0-62mph (0-100km/h) in just 3.9 seconds. 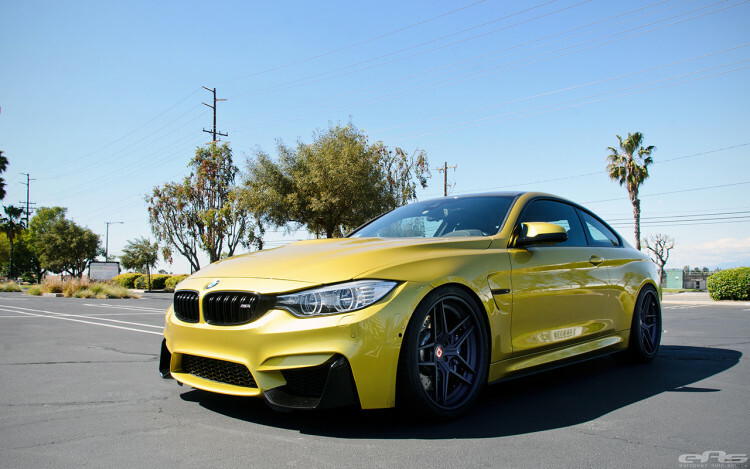 The performance of this particular M4 was further accentuated by installing a Burger Motorsport JB4 tuner which allows for a slight increase in both power output and torque. Furthermore, the exhaust system was upgraded thanks to an Akrapovic Evolution titanium exhaust system with carbon fiber tips and an Evolution Racewerks competition series catless downpipes, yielding better exhaust airflow for this turbocharged engine. The final touch in the performance department is the BMC high performance replacement air filters. These provide more air flow to the engine and allow the car to produce more power. After the performance mods were installed, it was time to add some aero carbon fiber parts. First, an Arkym carbon fiber engine cover was installed. Then, BMW gloss black kidney grille surrounds were added, together with BMW M Performance carbon fiber front splitters, trunk spoiler and side blade attachments. Next, an iND painted engine cover was added, followed by iND painted front reflectors, painted key hole cover, painted license plate frame, painted side markers and painted trunk badge. Last but not least important, a RKP carbon fiber diffuser was installed in the rear. Please take a look at the media gallery below for more images.